95.3 KPND is North Idaho's quality rock radio station serving Sandpoint and the region from Bonners Ferry to Spokane to the Silver Valley. 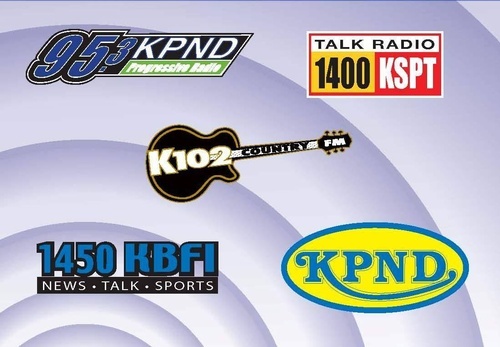 Listen to KPND now at http://tunein.com/radio/Progressive-Radio-953-s34692/. K102 Country music radio for Sandpoint and North Idaho. Tune it to hear today's stars and yesterday's country legends. You're in K102 Country! List to K102 Country now at http://tunein.com/radio/K102-Country-1025-s33072/. KRFY 88.5 Panhandle Community Radio is a non-commercial member-supported radio with music, news and educational programs, provided by the nonprofit Panhandle Community Radio. Tune in or click to our website to hear live streaming radio at http://www.krfy.org/.